Herbs For indoor Garden – When we think of starting a garden, the first location to plant that come to mind is the great out doors, usually in a back yard a small plot of land close to where we live. Surprisingly, gardens can also be cultivated indoors in pots or containers of various sizes. Window boxes or hanging baskets provide an excellent place to grow herbs indoors. Growing herbs in this way is just as comfortable as growing them in an outdoor garden. The same requirements are needed for growing an indoor garden as is for an outdoor garden. When you get right down to it, all plants need three basic requirements to grow successfully; and they are sunlight, soil and water. Herbs are no different. Sunlight is important to growing any kind of plant, not withstanding herbs, whether they are grown indoors or in an outside garden. 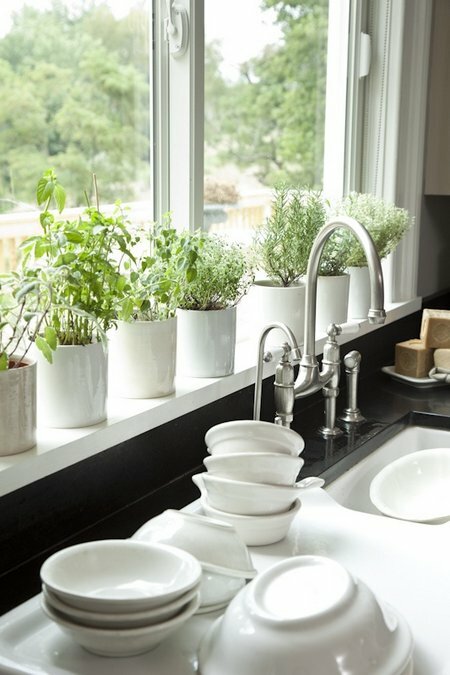 When growing herbs indoors , whether in your kitchen or other room, you should place them in a south or west facing window to get the best type of sunlight. Reasonably, various types of herbs will require different lighting, but, for the most part, the sunny location is needed by all. 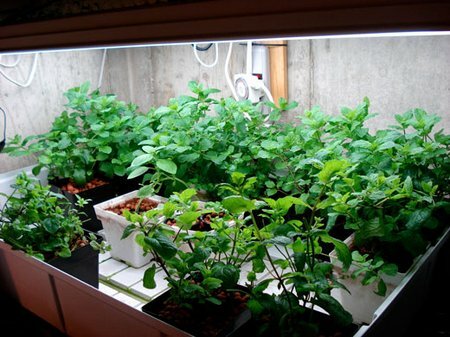 Many home growers make up for the lack of sunlight in their homes by supplementing the source of light with ‘grow lamps’ or fluorescent lamps. This is a must for the city dweller, growing an indoor garden. When planting herbs indoors, you also need soil that is a well drained, but not too rich, to grow in. Blend two parts of sterilized potting soil along with one part coarse sand or perlite for herbs grown in containers. Also, you will need an inch of gravel at the bottom of each pot to make sure the plant has ample drainage. Growing indoors, in pots, also can be supplemented with one teaspoon or 5 milligrams of lime per 5-inch pot to make certain the soil is sweet enough for the herbs. Herbs grown in pots, or ‘potted’ herbs need water as well. Misting the plants with sprayers and moistening the pebbles will assist in keeping the crop in good humid conditions. 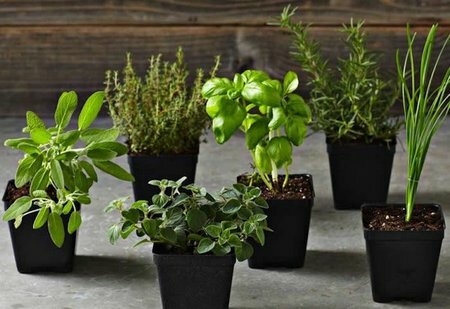 Herbs grown in containers, will need to have more water then the same type herbs that are grown in an outdoor garden, however, it is important to avoid getting their roots drenched or soggy. You will find all herbs can be grown in containers, making it convenient to do your gardening indoors or outdoors, like with anything else, some herbs do better then others. An herb that needs to be contained is mint, or it will overtake the garden. It is over all fairly easy to take care of an indoor herb garden. Growing herbs indoors keep the herbs ready and within reach anytime you want them for cooking. With these tips, you will be able to maintain your herbs and ensure a healthy garden whether you choose to plant your herb garden indoors or out. 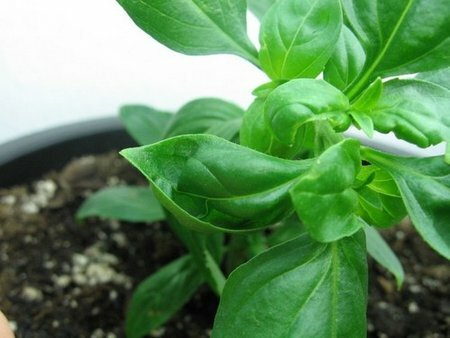 It is recommended you include also periodic light feeding and repot yearly for optimum health of your herbs. Also, don’t forget to replant annuals each year and take perennials outdoors when needed. Use your herbs as much as you like as well as harvest them from time to time. It is no secret, pruning plants promotes new growth. The same also applies to herbs. Use your herbs in your recipes, store them for future use and remember to give some away to friends.